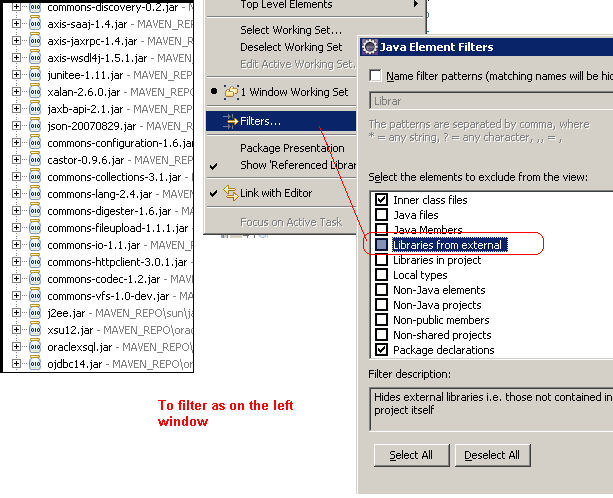 You might see some messy jar in view of your eclipse project in Project Explorer and you want to remove it from this view. Here is a short instruction for that. The given post in the description is the answer.